Injuries occur every day in athletics. Soft tissue injuries account for a majority of all sports injuries. These include trauma to the muscles and their tendons, skin, joint capsules, ligaments and bursae. 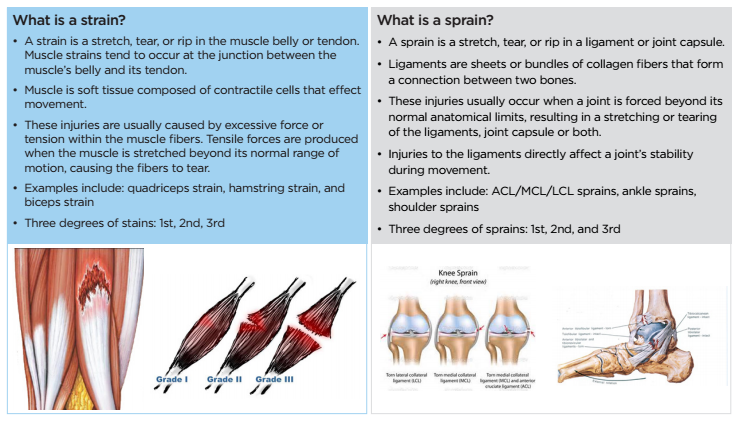 However, there is often some confusion in what the difference is between a sprain and a strain.